The removal of Chief Secretary George Mkondiwa, marked the official start of the DPP 2019 campaign. I told a friend at Capital Hill, wait until you see what happens- shake ups will follow. True, a little Cabinet shake up to bring in Nicholasi Dausi, then the decision to take reforms to OPC where they have failed for almost 80 times before and finally shake up of Principal Secretaries and other Government structures. Add the new Cadet infested boards of statutory corporations, you can conclude. Apart from stripping him one programme he was given and successfully changed perception of public service within a short time, Vice President Soulosi Chilima has slowly become a target of smear campaign, slowly isolated and since I do not watch state owned MBC, I am informed that he is a persona non-grata. Unfortunately for the DPP, Chilima has an innocent face and many Malawians look at him as a sober one among some old men, some vehemently and unapologetically tribalists. The DPP in 2009 after winning the confidence of the whole country, decided to make itself more tribal and forget everyone who supported them. After the death of Bingu you would expect the party that was given a second chance by Malawians to change. Instead, since late last year, it is engaging in a gear, internal fights and removing people like Chilima who enjoy warm public support to its name. The DPP in 2009 won its second term, it had a national face and strong characters- people like Goodall Gondwe, Nick Masebo, Frank Mwenefumbo, Khumbo Kachali and even Harry Mkandawire marshalled the North. The MCP/UDF alliance had not chance. Today, DPPs Vice Pesident Dr. George Chaponda showed the whole Northern Region a middle finger. And nobody has taken steps to ensure the North matters since then. The public perception is growing that DPP is corrupt and tribalistic. Chapondas hoarding of crucial foreign exchange and the slow paced conclusions especially on money charges towards him and the news that Foster Mulumbe is back at Admarc after recommended disciplinary action has not been meted. The problem for DPP it forgets that radios cover all these and information is flowing to even the voters. The biggest blow now is the Supreme Court ruling, calling for a re-run of Lilongwe City South East constituency. There were murmurs that DPP stole elections, these seem to be confirmed by the ruling. The DPP should wake up and play the game, give funding quickly to MEC and have elections in 60 days. The only problem is that strong campaigners like Patricia Kaliati have been damaged by internal fights so too Central Region power movers like Dr. Jean Kalirani. Add that to the Vice President and other sober people, DPP in Central Region is at its weakest point. From the time of Chimunthu Banda and Bintony Kutsaira, the party has reverted to Dr. Hetherwick Ntaba and Francis Mphepo, two old men nobody really likes in any of the regional party structures. To tell you how confused the party is, they take a cashgate suspect Gleselder Jeff wa Jeffrey as Secretary General, really Mr. President, what is being smoked up there. The DPP is facing challenge to clear its image, you take someone who had similar charges to be your top gun! Komatu ngati kuli kulodzedwa! So in short, North looks like a middle finger pointed by Chaponda wont be withdrawn, Centre sober faces like Chilima and Kalirani are ostracised for non-likable Ntaba and the Lutepo of the K187 million scam is the Secretary General. I wont write about the Southern Region where real politicians are sidelined and the DPP is almost dead in Nsanje, Chikwawa, Neno and even Balaka. Last week I was in Balaka, where roads are almost impassable now- even the road to the First Lady’s home. The DPP’s choices are limited. Perhaps Ben Phiri as the cadets suggest could help improve things, perhaps the President might need to hire a political researcher and get a copy of the truth on the ground soon or may be a strategist that has multiskilling in everything. 24 months before the election day, none of the new Universities including Mombera in Mzimba has taken off, none of the works at Nsanje port has progressed, none of the reforms have worked out, the baby face of DPP Chilima is isolated, the most trusted Ministers all face corruption allegations. The strategy by DPP is to refute, drag Uladi Mussa to police cells increasing his popularity and telling lies to the President. The DPP, a ruling party could not convince 30 people to vote for its Mayors in Lilongwe and Mzuzu. And it believes it can convince 3 million voters to vote for them. The drama is real. The real waking up is coming. Mr. President, if nothing happens between now and December, and you keep the same team of advisers and strategists. You might do “ka Joice Banda” heading down to USA, where Trump is not very kind. Everytime you go on that MBC programme- they don’t even give you correct facts, making you look like aloof. Dzuka Malawi, 2019, we could see another tumble of a President. It will be exciting now to change Presidents every five years, like we do in my beloved constituency of Blantyre City Central! I believe, Chilima, Atupele and the other young brilliant minds in MCP can come together and find a new direction for our country! Zikutilaka ndeu za nkhalambazi! Chilima is overrated by DPP haters. He is undoubtedly a man of good reputation and principles but the achievements heaped on him are not his achievements. 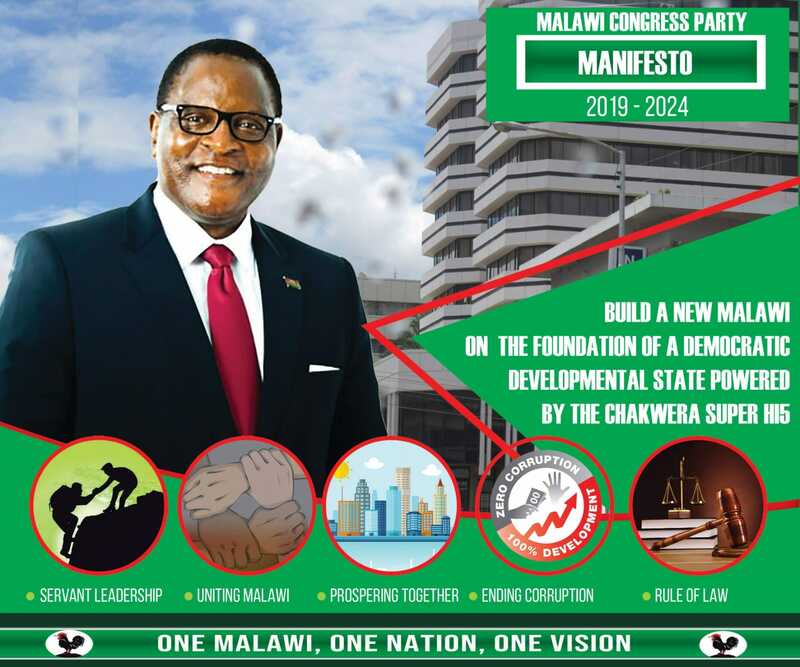 If Chakwera is not the perfect choice for president,a duo of Chlima and Atupele or Chilima and Sidik Mia could mark a good beginning for Malawi. Chakwera and Bowler could be an alternative combination. I have great respect for all these gentlemen,but Atupele needs to be his own man and not follow his father’s style of leadership. Malawi needs a new generation of leaders with the energy to think wisely and formulate aggressive policies that are immediate problem solvers for the country’s stagnated economy. I still believe Malawi can be an economic miracle of the region if not Africa. Am afraid, that if DPP sidelines Chilean as evidenced by some few facts on the ground, it gonna see the wrath of Malawi. I voted for this part in 2009, but now mmmmmm what a waste. If you have the power, ability to steal the election, what the people vote and want doesn’t matter: they won’t get it! The problem with APM and his DPP is the belief in what I call self-righteousness. They believe they have already won the election in 2019. They don’t care about the dwindling public perception. The challenge is the adviser who tells the president the truth is not liked and often times booted out. Shock defeat is on the card. Advice to DPP, your election rigging tactics are well known and they will countered this time around. Please stop killing people, stop theft and corruption if you want to remain in power. Time is running out for you. In 2014, I voted for DPP for its Bingu legacy but now I know I Made a mistake, so do some million voters are with me, so if DPP is thinking of 1994 strategy that the ruling does not lose let history teach them. Congrats Tariro for taking the DPP bull by the horns..You are undoubtedly spot on!! !